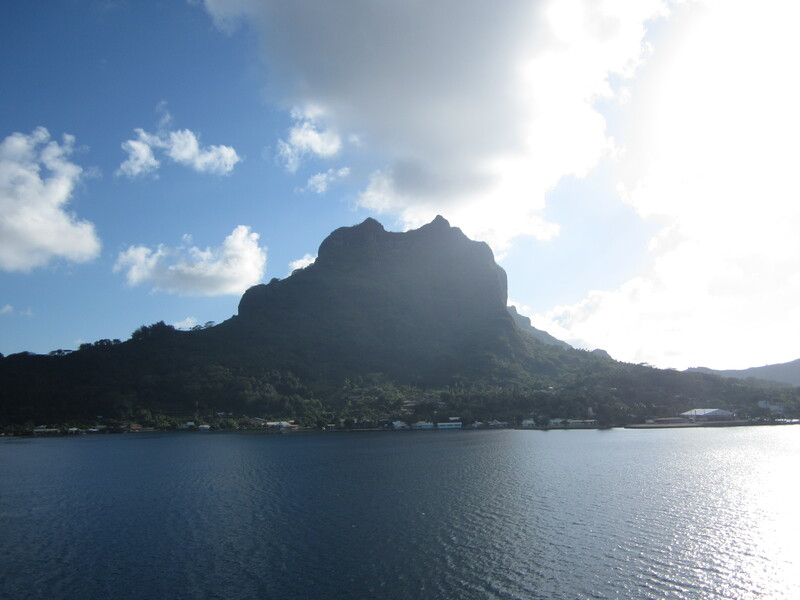 We anchored in Bora Bora for two days. 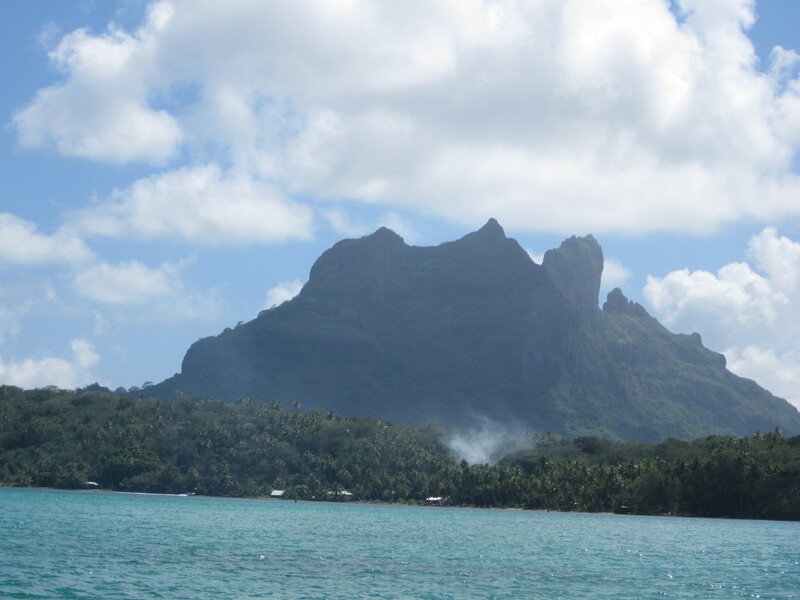 This is currently the hot spot and most popular place to visit in the French Polynesia islands. Today, we went out for two dives in gorgeous waters and weather. The first dive was around 45 minutes and we went down to approximately 55 feet. We were circled by a group 5 lemon sharks that were about 4-5 feet long and often got as close to us as 10 feet in numerous occasions. Great dive to see some of the fish and creatures hiding in the coral. Towards the end of the dive, we have a very large local (Titan Trigger) fish that insisted in following us around and did not want to leave us alone. 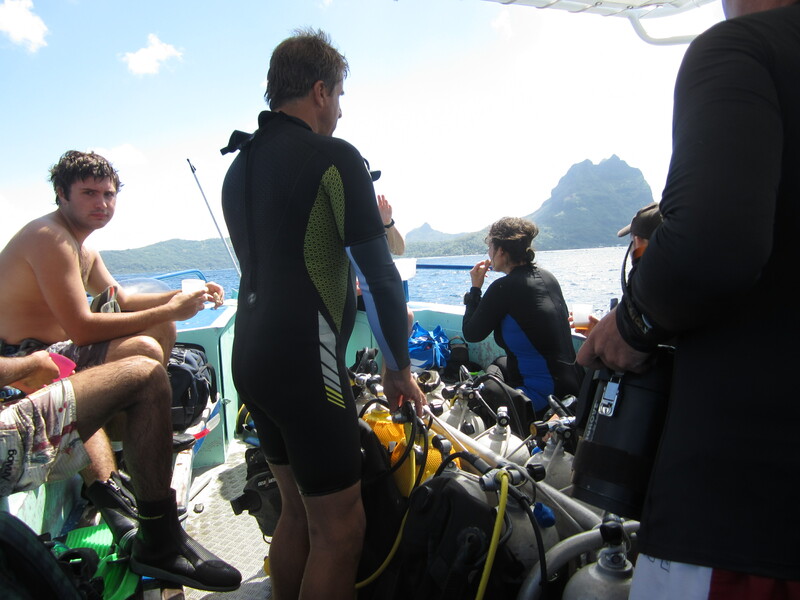 Overall, a fantastic dive team and choice of dives from the Bora Dive Team. 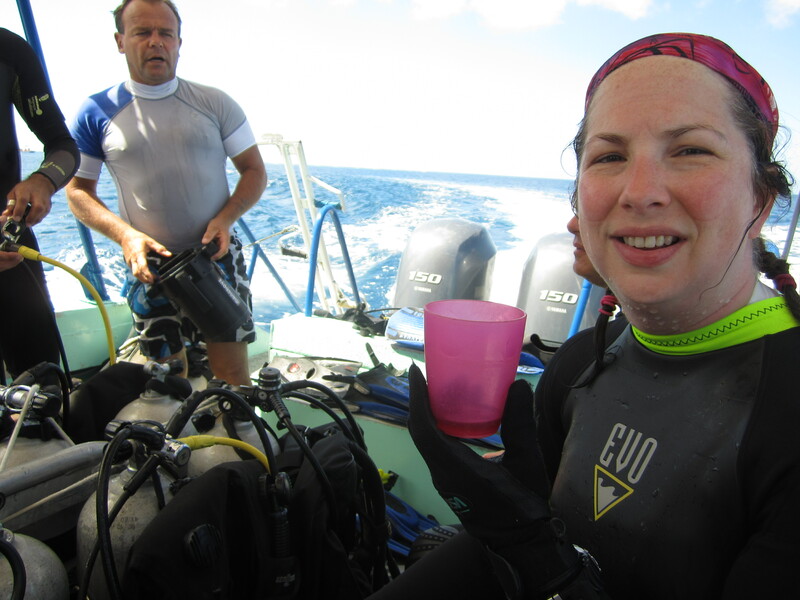 What was the one thing that was different with a French dive team? They served hot tea and French Oreos between the dives. It went down really well and was a nice treat. Oh…one final thing…the locals love riding the wake behind large boats with their outrigger canoes…one of their favorite activities when tourists arrive with large boats. 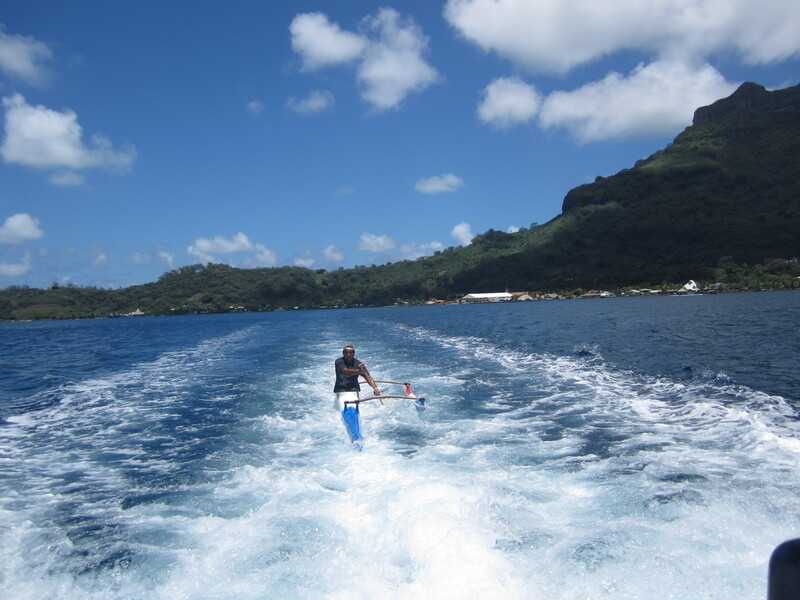 This entry was posted in Travel and tagged Bora bora, Diving, Scuba, Tahiti. Bookmark the permalink.